The reader may wonder why it is that we even bother having a category on our site for crop circles, when it is fairly common knowledge that the majority of these field markings are blatant deceptions, from what has been described as the 'Crap Circus' of hoaxers? Well, there is a very good reason: Oddly enough, energetic spheres of light, (miniature orb-type UFOs) and other unexplained happenings have been reported by many reliable witnesses in the vicinity of these field impressions, of which we have photographic evidence; strange phenomena that are perhaps attracted by, (or even somehow triggered by) the man made geometry itself; we simply do not know; but this is the ONLY aspect that we are personally interested in here at BEAMS, of what is otherwise a rather commercial, misleading... even fraudulent subject. 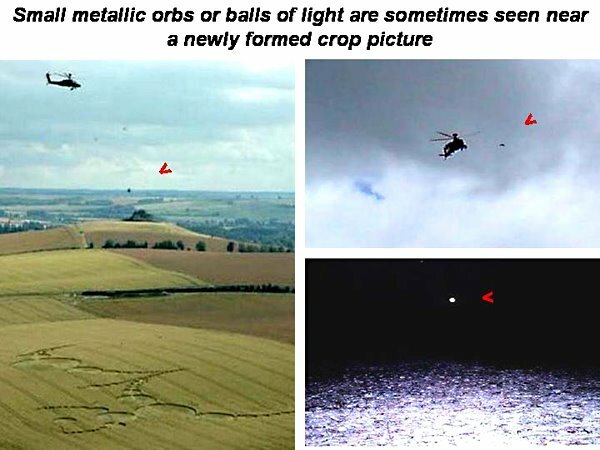 16/08/2017 - Has an Alien Figure Been Captured in a Crop Circle Field at Avebury Wilts, UK? 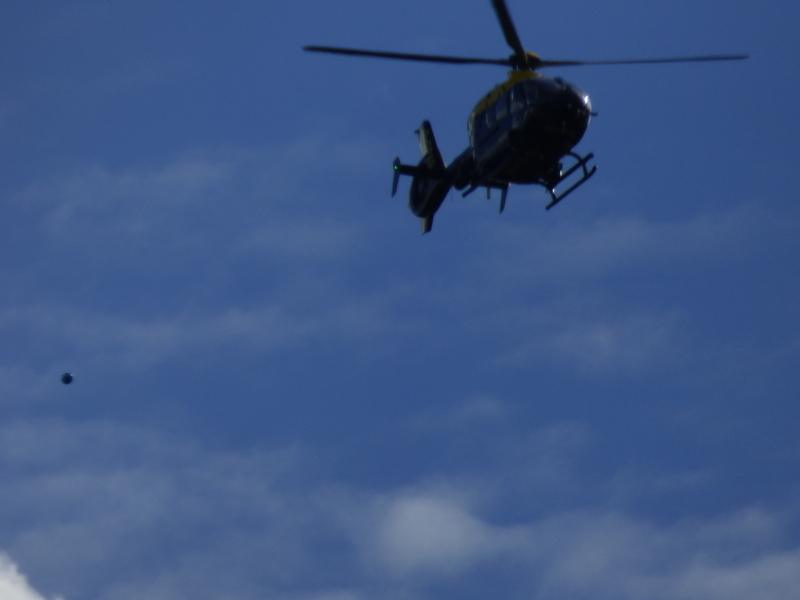 Witness message: Above is a photo of a helicopter and sphere was taken with my SLR camera last July or August (2017) from the back garden of our home in Sidcup, South East London; below is a GIF animation made from sequential 'burst' mode photos taken of the same event. 16/07/2009 - Expert Steve Alexander, "We Know Crop Circles Are Man-Made"